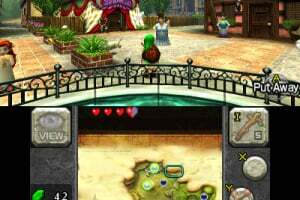 The Legend of Zelda: Ocarina of Time 3D brings a completely re-mastered version of this epic entry in the beloved The Legend of Zelda series to the Nintendo 3DS system. 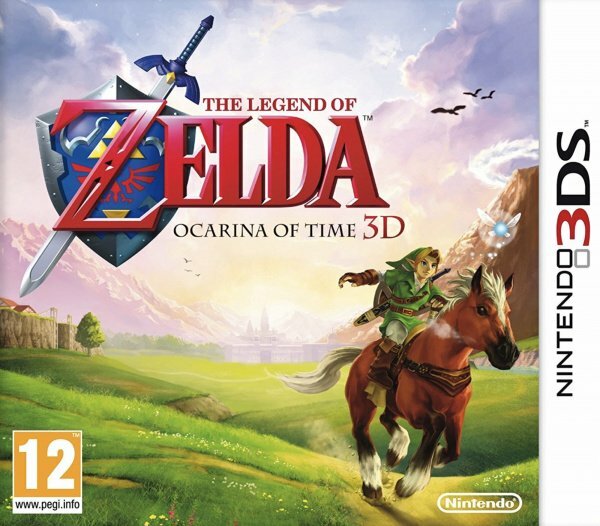 The game couples phenomenally enhanced graphics with stunning glasses-free 3D visuals to bring to life the daring adventures of its hero, Link™, in the epic tale of the creation of Hyrule and the struggle for control of its all-powerful ancient relic. A streamlined touch-screen interface and newly implemented motion controls give the game a fresh and intuitive feel. 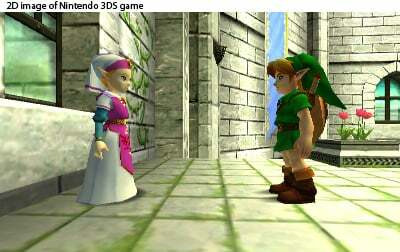 The Legend of Zelda: Ocarina of Time 3D is a masterful improvement on one of the landmark moments in video gaming history. 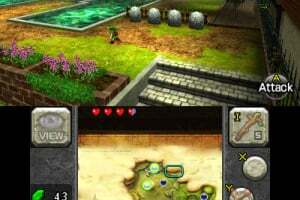 Dynamic glasses-free 3D visuals and a complete graphical overhaul bring one of gaming's most beloved and celebrated franchises to life, putting the vivid world of Hyrule in the palm of your hand. 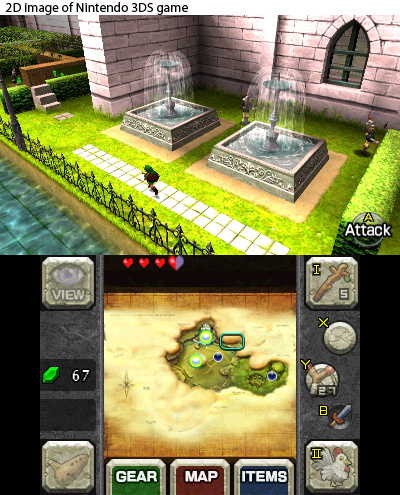 Players who finish the main story can look forward to the Master Quest - a second quest with revamped puzzles and redesigned dungeons that feature the same graphical and interface upgrades as the main game. 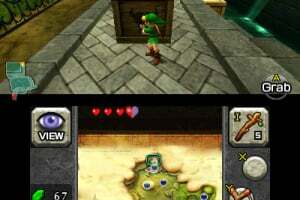 For the first time in a Zelda game, players can access a hint movie if they are stumped on a particular puzzle. 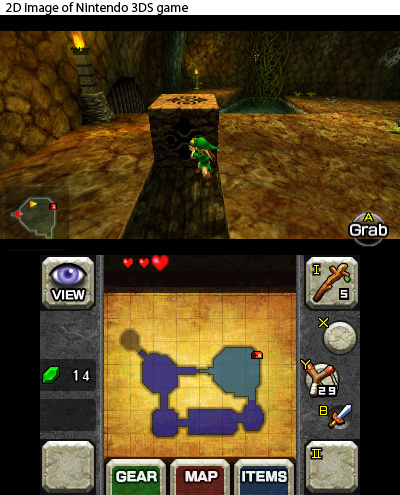 Hint movies can be accessed by visiting the Sheikah Stone, which is located by Link's house and in the Temple of Time. 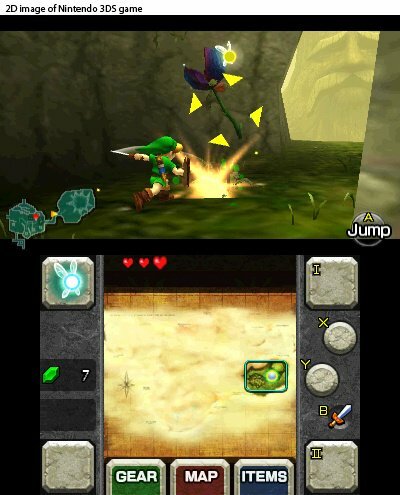 When a new movie is available, the Sheikah Stone glows green and allows the player to choose from a menu of available movies. ZOMG AWESOME! I want a 3DS and I want it now! Finally, I can play OoT without staring at pukey visuals. It's a dream come true! Nice visual enhancement of a classic. @pixelman: It's the same blocky graphics. Also Skyward Sword is gonna be my Zelda game this year! Whoa... the 3DS is gonna be a major hit. I like it! 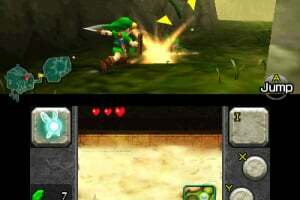 I haven't play through ocarina of time (Edit: I did), but that game is great. I hope the remake will be great. are u 4 real why not twilight princess or wind waker i past oot 15 and i aint liein .o. I havent played this game yet but im not going to buy it on virtual console now that its coming here. 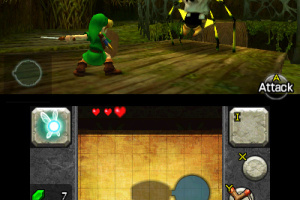 And ya, wind waker is in my top favorite zelda games. And link master you past ocarina of time in 15 what? Minutes? Hours? 15 times? Any Zelda game except OoT. We saw it on N64, remade on Gamecube, and Wii. It's been released so much, It's the Street Fighter 2 of Zelda games. Cant wait to see this, my fav zelda game in 3D! Can't have enough of this.. Because it's my favorite game ever. 3DS 3DS 3DS. Man cant wait for this and many many other 3DS games its already looking great and the systems not even out yet what will we see next E3? MGS Peace Walker? KH BBS? Kirby 3DS, KH2 3D Remix? oooooh. I'm really liking this because I never have played OoT before (except for the beginning of the game) so I really need this game. I have OoT for N64, it came as a bonus with my copy of Wind Waker and I have the Classic collection disc for GC. If I buy this one it would be my fourth! At first I thought "what the heck, big N?" why on earth would they do that? They had recently released it in VC too. But of course there is and always will be a "new generation" of players, who will appreciate this piece of golden gaming history. That said, games are a bit like plays in terms of defining them as art. Since a remake is the same story with different components, like a play can be performed differently theater to theater. In this case, you can't overlook the graphic enhancement, which seems to be pretty much the point of this remake. 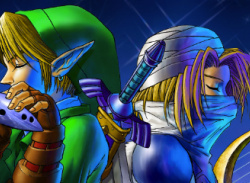 It stirs me a bit that Link's nose won't be the shape of a pyramid and Redead's faces flat as the windows of the Temple of Time, since that's the way I'm used to seeing them. It's a part of the 3D-revolution, I suppose. Those details might not have anything to do with 3D, but in the context, making a loved classic all over again is a statement. It's like Nintendo gaming has packed it's bags and moved to a new apartment, ready to make the best of the new environment. These things are what made me see that this game really is worth doing and playing. It's Nintendo's homely "Good morning" to the dawn of 3DS. 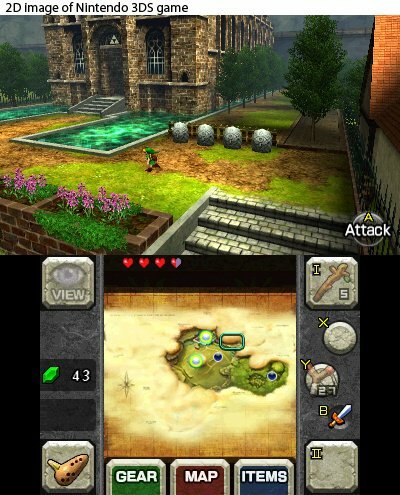 I went a bit deep there, but if one should go deep, it's when OoT gets a serious remake on a revolutionary console. 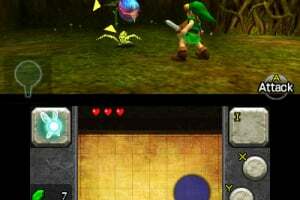 Tell me I won't have to blow into the 'ocarina' to play my classic tunes... we old guys still remember which yellow arrows to push to zap ourselves here and there and back in time, and pray that they correspond to the XYBA button layout. I have never been this excited with Nintendo! 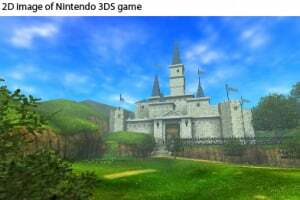 I never did think Nintendo would bring back these games in 3D I love how they look alot like the N64 graphics and for Ocarina Of Time. AWSOME!!! 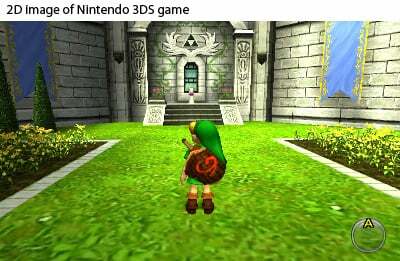 Because Ocarina Of Time was the best Zelda game ever. 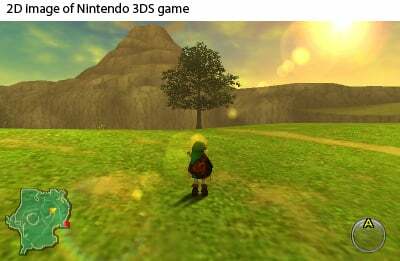 And was one of the best N64 games. 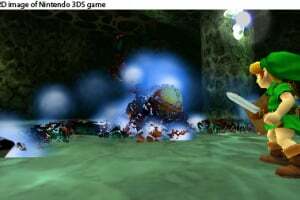 Banjo-Kazooie was said to be the best platforming game for N64 though. 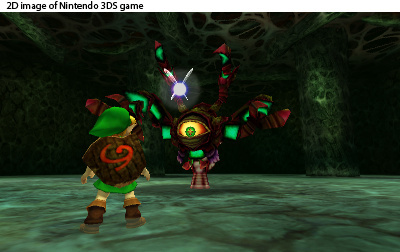 To me Im really excited with the remakes there bringing back on the 3DS. And its cool that they even have another zelda game coming which is skyward sword which is supposed to be a prequel to Ocarina Of Time. YES!!!!!!!!!!!!!!!!!!!!!!!!!!!! this is my favorite game of all time i got it on the wii and never put it down the game is perfect!!!!!!!! 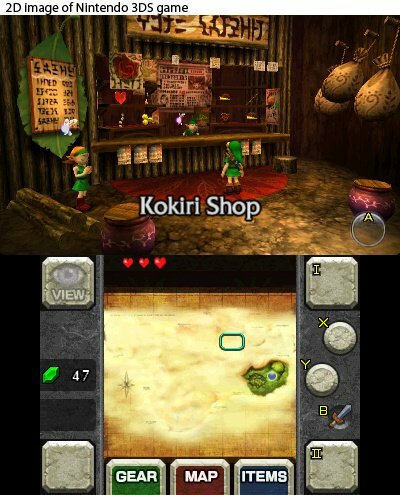 Everyone's saying how this game has been released so many times already, but you forget it's never been released for a handheld. 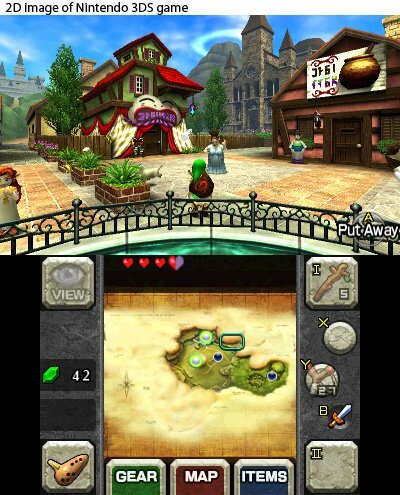 Soon you can play OoT on the go. Awsome!!! 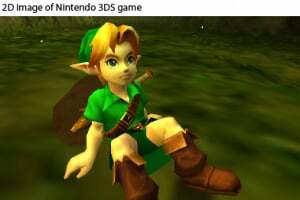 They finally got a photo of young Link!!! i wait for this for a very long time!! now i want to cry..coz its awesome!! Great game, but I don't know if I'll want it. I missed this one on 64 and VC so i'll for sure be getting this as no one has ever said anything bad about this one. 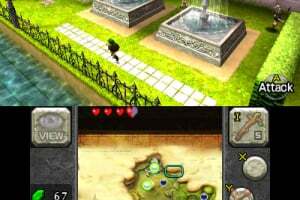 Yet another Legit OOT remake! really really can't wait for this! THE BEST GAME OF ALL TIME! No matter how many remakes they make I won't get sick of it. 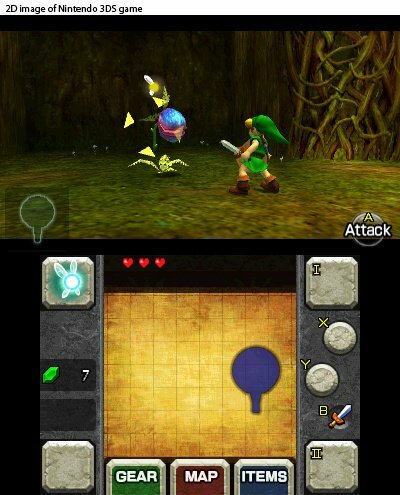 i love ocarine of time!this is gonna be so awesome how the next remake is going to be for 3ds! Considering I never got into OoT on VC, I'll get this. 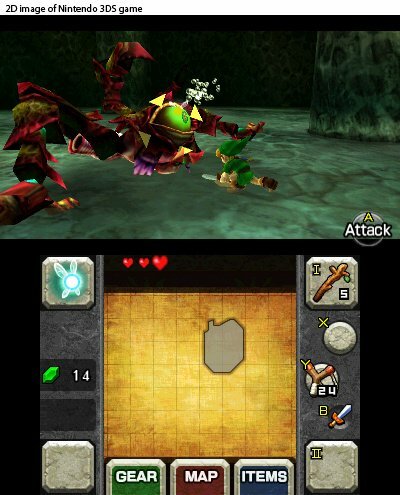 I also like how it'll have the Master Quest. its coming with the master quest too. I cant wait cause i never beaten the master quest on the GC so.. Im just really looking forward to this! I've only played Ocarina of Time a little (yes, and I call myself a Zelda fan...) but I am SO excited for this. The screenshots look amazing! I will be pre-ordering as soon as possible! Hopefully this one has the Ura Zelda patch thing. The Master Quest may have been Ura Zelda, but probably not fully. Can't wait! So will most likely get this and Kid Icarus Uprising. thank you for SCREEN SHOTS !!! ; D! I have great memories of this game. It will be awesome playing it again. And I'm loving the new graphics! I preordered it last night And I would advise you guys preorder, A.S.A.P. because it's a limited edition game and Nintendo is only making 150,000 copies WORLDWIDE! The game is most likely not a limited edition but there is supposed to be a limited edition bundle pack, which certainly seems worth preordering! According to http://www.gamepumpkin.net/profiles/?profilekey=1&page=blog&blogid=118 it will only be available in US with 200 000 copies. According to http://www.giantbomb.com/nintendo-3ds/60-117/3ds-ocarina-3d-limited-edition-collectors-bundle/35-489068/ (with an awesome picture!) the bundle has so far been announced only for Europe. 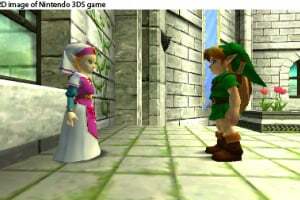 But a forum user called letschat6 overheard Gamestop staff saying that OoT3D will be 150 000 copies worldwide ( http://3dsforums.com/nintendo-3ds-3/legend-zelda-ocarina-time-3d-14461/ ), like Millie said. The price announcements are ranging from 250€ to 499$. 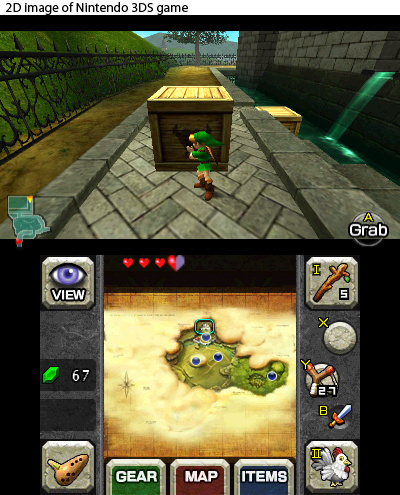 The contents of the subject of debate range from just a copy of OoT3D to a bundle of special 3DS, OoT3D and Link's Awakening DX. The appearance of the supposed limited edition 3DS is another knot of contradictory information. Some say it will be green, some say it will be silver, but everyone agrees that there shall be a triforce (although the placement of the triforce is supposed to be between the cameras or in the center of the screen). My research concludes in that people don't really know. @Omenapoika Unfortunately all those bundles are hoaxes, which is a shame! As for Nintendo only making 150,000 copies — does Nintendo not like money any more? This will be the 3DS's next million seller and Nintendo will not under-manufacture this at all. 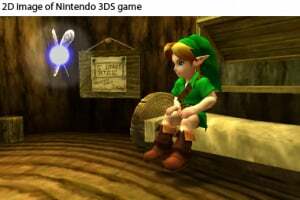 I think the things im most excited about for this game are: the bottles will no longer appear to be bags, and the first ocarina won't resemble some kind of bodily organ. 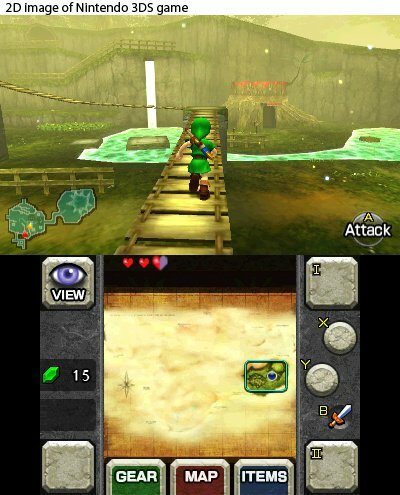 Anyone know WHY The water temple was considered broken, and why it was redone for 3ds edition? I never had any real issues with that temple, made a man outta you. Only 30 more days to go. @Hero_of_Time What? It's the same game. Are you kidding? 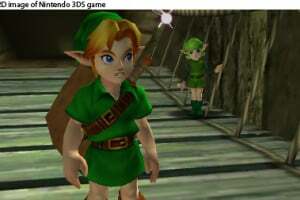 I would rather see a new zelda, its like a bad joke to see another re_release of an old game. Spot the diffrences . Just play the 64 game and put on your creativity glasses? Im glad nintendo does not make movies, the same movie over and over again but now with some more love in the subtitles yay. All about lack of creativity, re_releases are not innovative or creative at all. Its only to get the maximum coins out of a production. When will this be reveiwed? Current OOT scores are 100, 100, 98, 95, 90. Wow, only 1 week to go! this game is gonna be between my hands this Saturday!!!!! MWAHAHAHAHAHAHAHAHAAAAAAAA!!!! I never played the N64 version because I had a Playstation...I know...I know. I am almost afraid to admit that on this site! Anyway now that I look back and my love for all things Nintendo has grown..I wish I didn't waste my time with Playstation. I am usually not a fan of RPG's but this game looks pretty sick. I may just try it on N64 via the Wii first to see if I enjoy the game first..before I shell out the cash on the 3DS version!!!!!! IT IS GREAT! I am really taking my time with this one. @79 Zelda is not an RPG. Just clarifying. A lot of people think that though. Anyway, the game is great and worth the 40$. I'm addicted to it right now, I can't stop thinking about playing it. Legend of Zelda OoT 3D is being shipped to stores in very, very small quantities. Gamestop guy told me that if you don't preorder the game then chances are you might not even get the game. Buy before it runs out if you want it. By the way, I have my copy. It's so worth the price tag. I'm 30+ hours in, and that's for the story mode! Now, I'm in master quest. Most likely, another 30 hours. The game is great! this game is so fun!!!!!!!!!!!! modifications made to the game. One new feature is the use of the touch screen to switch out items, boots, and tunics. 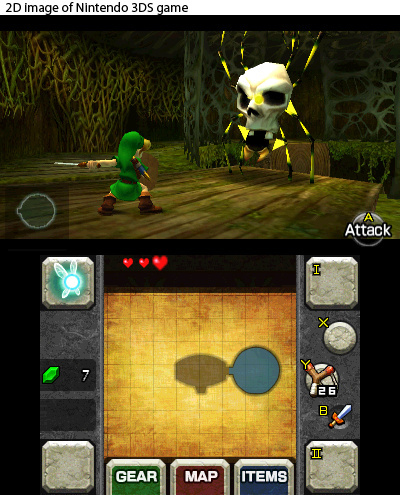 The game uses the system's gyroscopic technology to look around and aim the player's bow, boomerang, and slingshot in first-person mode, unless the player chooses to use the classic analog stick control to aim.The 3DS version has the modified Master Quest dungeons and mirrored overworld in addition to the original game, and a new "Boss Challenge" mode that allows the player to fight all of the bosses one at a time, or in sequential order, while the Master Quest has its own version of the "Boss Challenge" mode, where the boss arenas are mirrored and enemies will do twice the usual amount of damage. Another new addition is the inclusion of optional brief video clips called "Visions" that serve as hints in case some new players get lost or have trouble solving the game's numerous puzzles. 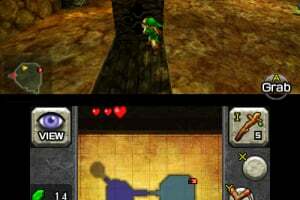 It was also revealed that the Stone of Agony is replaced with the Shard of Agony, which serves the same purpose, only with a sound signal to inform the players of secrets nearby. This is due to the fact that the rumble feature is not available with the 3DS. This game is and always will be THE LEGEND!!! The best game ever in 3D is the best deal ever! I shall eventually be picking this title up! Looking at what my tax returns will be and if I have enough after everything else I have to take care of with my car etc Im going to pick a 3DS up along with this game and Super Mario 3DsLAND!!!!!!! ...Also can't wait for Luigi's mansion 2! Being a "Tendo Baby" since I was 4 I'm always anticipating the next BIG thing Mario, Link, etc bring out. However, at 27 years old, I look back and realize "Core titles"...at least in the Mario series...just aren't what they used to be after Mario 64! 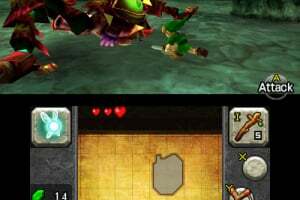 now all they have to do is release majoras mask on 3ds and since master quest is put on this they should put the true majoras mask on it if they makes it! I got this on the Wii VC so I'm not so sure if I'm gonna pay $40 to get upgraded visuals and to start all over. Help! Does anyone know that part where you are on Dongardos Cave (< Can't Spell, My Bad) and you turn foward and you see a big skull (I think a coyote when I see it :-?_) and it's a door? That's the only part I have not gone in yet! I'm totally getting this game!! AMAZING DETAILS!!!!! I love OOT sooo much!!!! 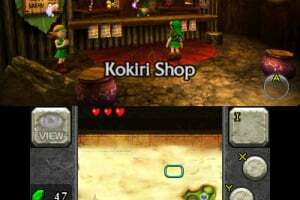 i wished before they mad the remake they would put this game ,majoras mask together and call this some edidition.im just saying we just need majoras mask.But ocarina of time 3d is a great game.And ITS THE FIRST ZELDA GAME I EVER PLAYED IN MY WHOLE INTIRE LIFE. Im mostly scared of the like likes so i watch lets plays on where they appear.wow, i know right? Love this game! It reminds me of the times when I would play it on the 64! Great remake! I used to play the original on my computer but when this came out I bought it as fast as I could! 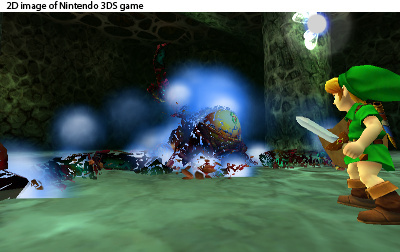 I love how they kept as true to the original as they could with the new hardware, they even kept some of the glitches! This was actually the first Zelda game that I have beaten! 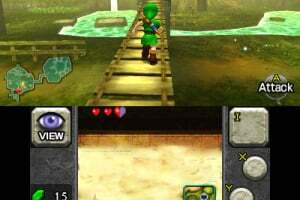 (Without glitches or TAS) I would recommend this game for anyone who loved the original and and anyone who wants to get into the Zelda franchise.